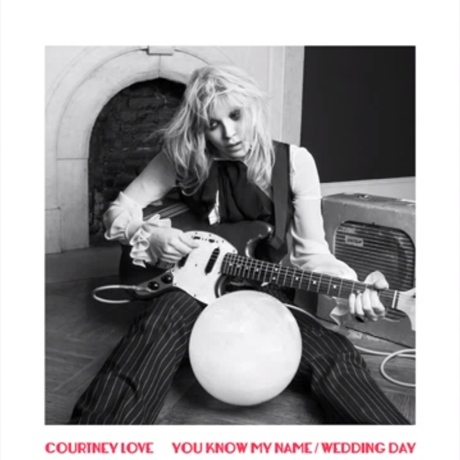 Courtney Love's previously promised "Wedding Day" is on the way soon, and now we've got the other half of that single in the form of "You Know My Name." The song is a self-referential scorcher that finds Love declaring "I'll never change" over an arrangement that surges from palm-muted punk to riff-fuelled alt-rock to sneering refrains, while Love punishes her vocal cords with some raw screams. Hear it below. The single will be out on May 4. Meanwhile, Hole's tentative reunion remains a question mark.